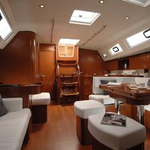 Yacht Oceanis 50 called Agata has been built in 2012. 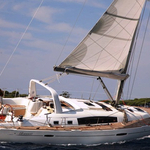 We propose this boat from port Sant Antoni de Portmany around Ibiza. Agata is licensed for 12 passengers. Layout of the sailboat is 12. 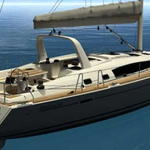 Oceanis 50 Agata is equipped with 6 bedrooms. For guests disposal there are 3 bathrooms. You can fill the fuel tank with 400.00 l l. and in water container it goes even 500.00 l liters. With engine 75hp Agata can sail really fast. Agata is 15.42 m long and 4.82 m wide. 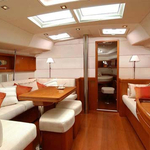 Draft is 2.00 m. Find about more boats in this section: Yacht charter Sant Antoni de Portmany. 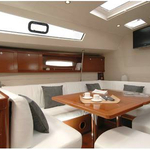 Sailboat's equipment consists of : Autopilot. . Nonrefundable deposit there is 2000.00 EUR. 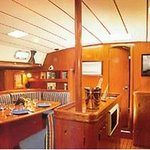 Choose our offer and spend great time on the deck of Agata. 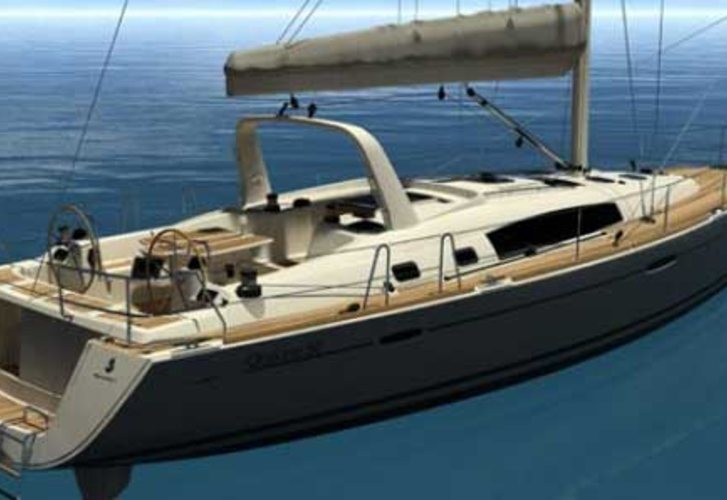 This Oceanis 50 from Sant Antoni de Portmany from Balearics Search for clicking here: Yacht charter Balearics.